Moderate rain (totale 11.0mm), heaviest Martedì pomeriggio. Freeze-thaw conditions (max 13°C Giovedì pomeriggio, min -1°C Martedì notte). Wind will be generally light. Moderate rain (totale 12.0mm), heaviest Venerdì pomeriggio. Very mild (max 13°C Domenica pomeriggio, min 3°C Venerdì notte). Winds decreasing (venti freschi dalla O Venerdì pomeriggio, calma per Sabato notte). La tabella sopra da le previsioni meteo per Telluride a specifiche altezze 2659 m. I nostri sofisticati modelli meteo ci consentono di fornire previsioni neve per la vetta, l'area intermedia e a valle delle stazioni sciistiche di Telluride. Per accedere alle previsioni meteo ad altre altezze, per spostarti usa tab sopra la tabella. Per una visione meteo piu' ampia , controlla la mappa meteo di United States. Telluride - First visit west in several years. Have to say impressed with the variety of terrain and great views. They are a tad proud of their food but "pricey" is usually expected at ski areas. You can find bargains and even at the prices the portions are usually more than filling. From the greens to the blacks and through the trees the skiing is marvelous and a week is difficult to get it all in. We stayed at the Aspen Street Inn, a quaint and convenient bed & breakfast which is minutes from the main gondola. Good people, food and very comfortable. Good restaurants are also minutes away plus a fantastic gallery of local art and unique photography is just around the corner. Take a few minutes in Telluride and check out Kamruz Gallery on Colorado St. You'll find something you like that isn't the normal tourist attraction. 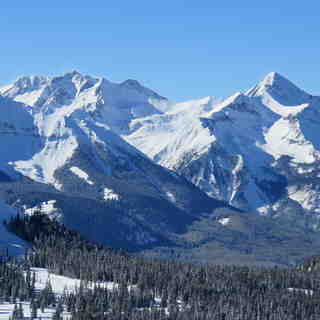 Telluride is a skier's resort and a great vacation. 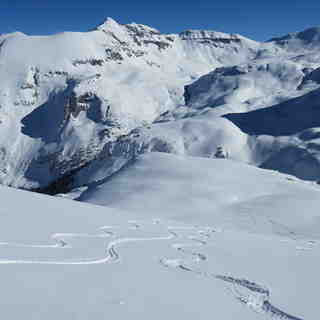 Get off the I-70 track and make tracks at Telluride.